The Ashanti Regional Minister Samson Kwaku Boafo has pointed accusing fingers at some disgruntled elements in the Kumasi Metropolis, who have personal problems with him, as those asking for his removal. He has subsequently dared his critics to justify their disapproval of his re-nomination to oversee the administration of the region. 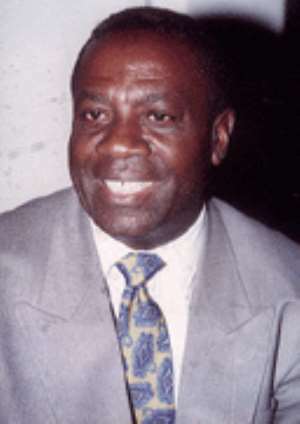 President Kufuor's re-nomination of Mr. Kwaku Boafo has attracted mixed reactions in the region with critics saying, his retention is unjustified and disappointing since per their assessment, he did practically nothing to improve socio-economic development in his first four years in office. “ They have confused my role with that of the KMA, I have given scholarships to more than 1000 basic school children apart from those being offered by the districts for tertiary education for teacher training colleges “he said. Mr. Boafo indicated that he has also provided about 338 boreholes to the people to have access to portable water and feeder roads have been constructed to link the cities and also for vehicles to shuttle easily in the metropolis. Mr. Kwaku Boafo also dismissed assertions that he did nothing to improve businesses in the Kumasi Metropolis. “People in Kumasi want money to do business, and some business men and women have had some form of exposure and the shoe factory is undergoing renovation and interested persons have applied, so what more do they want me to do”, he said.